Even small things matter.Instead of complaining about the things we do not have, appreciate the things that we do have. Our grandparents never falter to remind us of how lucky we are that we are blessed with the things we need. There are some people who wish to be in our shoes. What we think is a small thing may mean a lot to others. So, learn to be grateful. Character means a lot.Intelligence means nothing if you have no manners. Our grandparents have instilled in us the value of being polite and courteous. When we were kids, our grandparents used to call our attention whenever we are rude to other kids. After all, courtesy is a timeless character trait. Always follow your heart.Every time we ask our grandparents, “What should I do?” They typically respond, “Just follow what your heart tells you to do.” Our grandparents have taught us that our heart will never lie to us. No matter how lost we feel, we should always follow what our heart tells us. We could never go wrong by following our heart. Family is everything.When life gets tough, the persons you can always rely on is your family. Our grandparents never failed to remind us of this, especially when we have a fight with our sibling. Life is too short.Our grandparents always tell us to enjoy life to the fullest. We often hear them start their statement with the phrase, “Life is too short…” Life is too short to live in regrets. Life is too short to think about problems. Laughter is the best medicine…and so is food.A good laugh cures almost everything. That is why our grandparents throw some jokes whenever they feel that we are sad. Of course, laughter is more effective when there is food, especially desserts! Health is wealth.Whenever we feel stress about something, our grandparents always tell us to take it easy. They are the ones that keep on reminding us to be always good to ourselves. Aside from family, health is also important. Do not let failure stand in your way. Everybody makes mistakes. 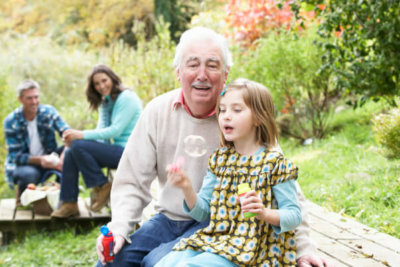 Our grandparents have even shared some of the mistakes they did in their younger life. But we should not let mistake define us. We should not let it hinder us from achieving our goals. Give your grandparents the best care they deserve. Peachtacular Home Health Care is a home health care in Metro Vancouver. We offer private affordable home health care services suitable for your grandparents’ needs. To see the set of services we offer, go to www.peachtacularhhc.com/one-on-one-personal-care. If you wish to talk to us, kindly reach us by phone at 778-859-2695.